We’ve been reviewing the Samsung Galaxy Nexus over the past ten days and there is one thing that has particularly struck me when using the phone. The Galaxy Nexus has a very nice 4.65-inch 1280×720 resolution Super AMOLED display. With a pixel density of 316dpi, text and photos are very crisp, it’s practically impossible to distinguish between individual pixels. Nevertheless, the display’s color temperature seems to be slightly off, this is especially visible when viewing large white blocks and when brightness is lower. It is easier to spot when the Galaxy Nexus’ screen is viewed side-by-side with another display. You also have to look at the screen more-or-less head on, looking at the Nexus’ screen at an angle gives it a blue tint, similar to the Nexus S and other AMOLED displays. 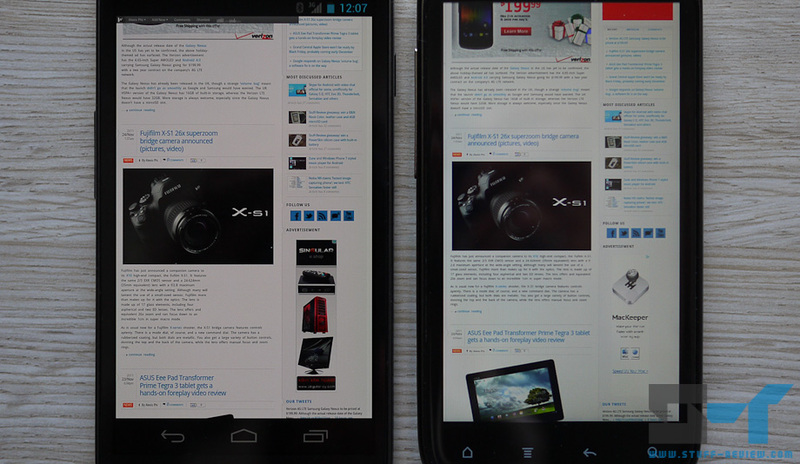 In the image above (click to enlarge), the Galaxy Nexus is on the left, while on the right we’ve included for comparison an HTC Sensation featuring a 4.3-inch Super LCD display. There is a subtle but distinguishing difference between the two screens, the Galaxy Nexus’ whites have a yellow/orange tint. The shots were taken at a display brightness of around 80% for both smartphones. Setting the Nexus’ brightness higher reduces the effect (although even at maximum brightness whites still have a yellow tint), while putting it lower increases it. At low brightness, whites are a shade of yellow tinted grey. 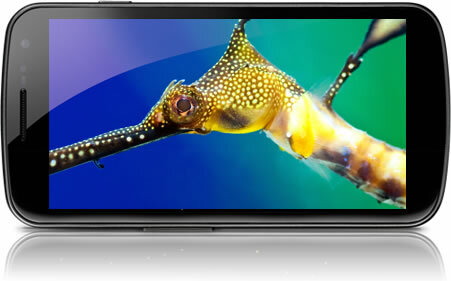 Hot on the heels of availability news for Samsung’s Galaxy Nexus, the 5.3-inch Galaxy Note ‘tablet-phone’ is now shipping in Europe. Amazon.de (Germany) now has the Samsung Galaxy Note in-stock, and you can order it from anywhere in Europe for EUR 561 ($797) including VAT, of course without a contract. 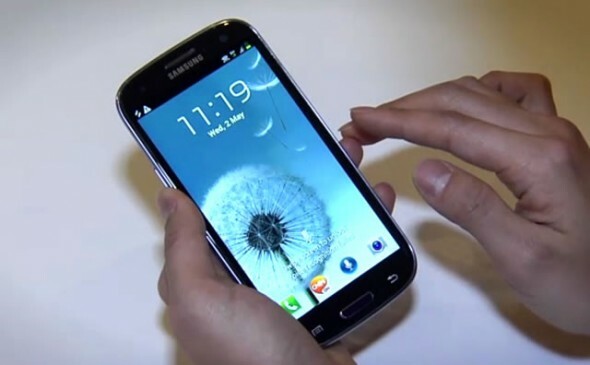 The Galaxy Note runs Android 2.3 Gingerbread on a dual-core 1.4GHz Samsung Exynos processor. The 5.3-inch Super AMOLED HD screen has a 1280×800 resolution (yes it’s Pentile Matrix, of course) and the phone comes together with a Wacom designed pressure sensitive stylus, named S Pen. We love the fact that it’s sporting a relatively large 2,500mAh battery, so you can at least enjoy the big screen without much worry of running the battery down too fast. The Galaxy Note weighs 178g (6.3 oz) and measures 9.65mm (0.38 inches) thick. You can check out our initial coverage here, while a lovely video demonstration of the Note’s drawing capabilities can be found here. We quickly covered this issue when we originally reported on Samsung’s new Super AMOLED HD display technology back in August, way before the Galaxy Nexus was announced. All current smartphone HD (over 1280×720 resolution) AMOLED displays that Samsung is producing use PentTile Matrix technology. 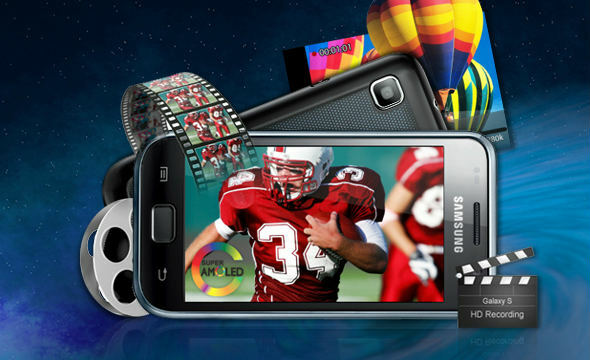 The displays can be found in Samsung’s just announced, Android 4.0 bearing, Galaxy Nexus and the 5.3-inch mammoth Galaxy Note. So what’s the big deal you might ask, well display purists will tell you that PenTile technology is sort of Samsung’s way of cheating into getting a higher resolution display, overcoming current AMOLED manufacturing limitations of packing ‘subpixels’ more densely. In standard RGB flat panel screens, each pixel is made of three subpixels, one for each color, Red, Green and Blue. Samsung’s PenTile screens have only two subpixels per pixel, and instead ‘borrow’ subpixels from neighboring pixels to ‘mix’ the right color. This leads to a blurring of sharp edges, while white blocks may get a tint at the edges. The higher pixel density a PenTile display has, the less profound these effects would be. So it’s now official, both the Galaxy Nexus and Android 4.0 Ice Cream Sandwich have just been announced. If you had watched the online live stream from Hong Kong you already know the meat. 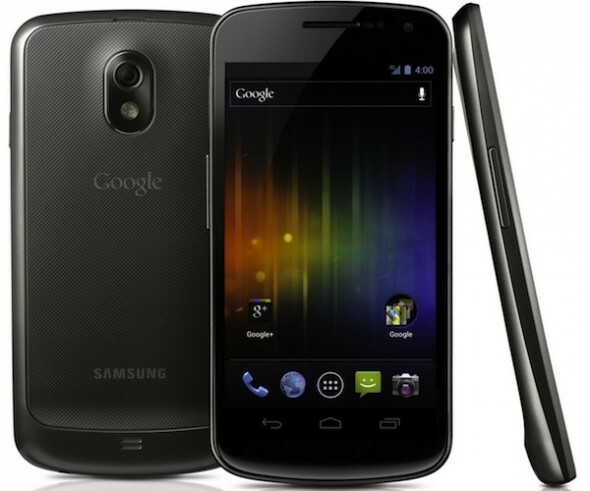 The Samsung Galaxy Nexus is one handsome phone with killer specs. We had already gotten most of the specs in previous rumors but here is the official recap. The new Nexus will be a very large screened device, with a 4.65-inch Super AMOLED HD (1280×720 resolution) display. It will run on a 1.2GHz dual-core TI OMAP 4460 processor, with 1GB of RAM and 16 or 32GB of built-in storage. It has LTE/HSPA+ radios, Bluetooth 3.0 (no 4.0 like the iPhone 4S and Motorola RAZR), NFC, 802.11a/b/g/n Wi-Fi, accelerometer, compass, gyroscope, proximity sensor and a barometer (say what!). The Galaxy Nexus only got a 5 megapixel back and 1.3 megapixel front-facing cameras but will be able to do 1080p video and motion panoramic photos. All these are contained in a 135.5 x 67.94 x 8.94mm (5.33 x 2.67 x 0.35 inch) curved body — the LTE version will be a bit thicker — weighing 135 grams (4.76 ounces). The battery is 1750mAh. The bigger news is Android 4.0 Ice Cream Sandwich, which has a new universal design (merging tablets with smartphones), new typography, a built-in photo editor, better multitasking interface with previews, notifications that can now be individually dismissed, face unlock, Android Beam to quickly share things with other NFC devices, resizable widgets and a host of other changes. Head over after the break for more photos of the Samsung Galaxy Nexus and a video showing-off the goodies. So far Samsung hadn’t been able to pack pixels densely enough to create high definition AMOLED displays for mobile phones. By high definition (HD), we mean any display with a resolution higher than 1280×720 (720p). OLED-Info is now claiming that Samsung has been able to break the existing pixel density barrier.